Several schoolchildren in Ghana got reusable BOGO-bottles. 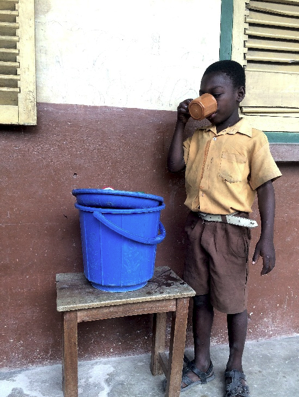 The children of the Obiri Yeboah Basic School used to have one cup to drink water from. 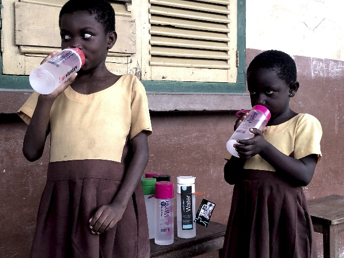 Now all the children have their own Join the Pipe BOGO-bottle so they can safely drink water and take it with them.